Acne vulgaris, or acne, is caused due to the pores getting clogged by sebum or dead skin cells. 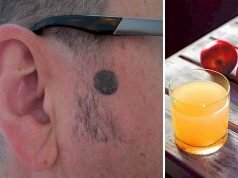 As a result, you get those ugly looking swollen red acne often full of puss, causing immense pain. This is one of the most common skin problems, thanks to bad health habits, pollution, and bad eating. Medication recommended by dermatologists often has strong chemicals with negative side effects like allergies and skin irritation. 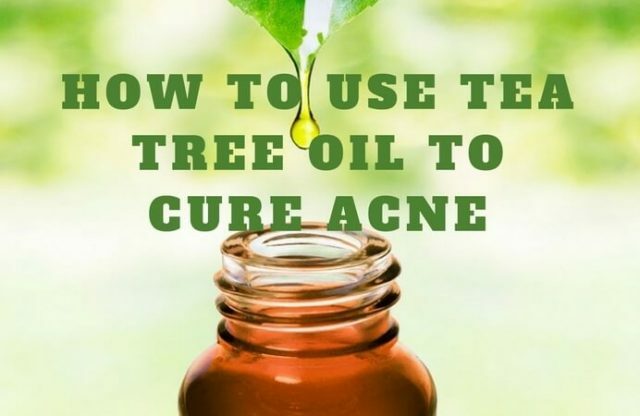 What does tea tree oil do for acne? It helps in drying up the excess sebum. Pure tea tree oil is sufficient for acne treatment. Just put a few drops of the oil on a clean cotton ball and apply it on the affected parts of your face. Leave it on for the night. Wash it off with some clean water in the morning. However, remember that concentrated tea tree oil is not applicable in case of acne affecting large areas of your face and skin. Tea tree oil should be diluted with water in case you have sensitive skin, or if the infection is over a large area. However, this treatment is for light infections. Just add a few drops of the oil to a reasonable amount of water and mix them properly. Apply it on the acne and leave it on for the night. Rinse it with cold water in the morning. You can also dilute the oil with rose water for its added benefits. The hydrogen peroxide present in raw, organic honey is effective against a broad spectrum of bacteria. 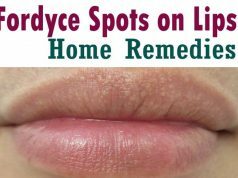 It works wonders against those causing infections and provides relief against inflammation and itches which come along with pustules and acne pimples. Though the reasons are yet to be understood, Manuka honey has been found to be very effective against acne. It is even used in hospitals for treating wounds and skin infections. You can do the following with either of them. Mix 2 teaspoons of honey with 2-3 drops of tea tree oil and apply the mixture over the affected area with the help of a clean cotton ball. Let it remain for 30 minutes at least before washing it off with warm water. To get rid of those blemishes and to improve your skin condition, do this twice or thrice weekly. You can add tea tree oil to your daily skincare products to treat your acne while on the go. Add a few drops of the oil to your moisturizer and put it on your face and other affected areas before turning in for the night. As the skin will absorb it, there is no need to wash off this preparation. This can also be used as a preventive. Add 10-15 drops of the oil to your cleanser. Apply it after washing your face thoroughly with water. Repeat this once every day to get the best results. Again, this can also be used as a precaution against zits. You can also purchase tea tree oil soap over the counter. Not only does it help in treating acne and blemishes, but it also relieves you of body odor and other forms of infections like ringworms. Virgin coconut oil has been found to contain the fatty acids lauric acid and capric acid which kill Propionibacterium acnes, the bacteria responsible for acne. These fatty acids have anti-inflammatory properties, which help in dealing with the redness and pain accompanying the lesions in the skin. Coconut oil also acts as a great natural moisturizer. To get these benefits to help cure acne, warm a tablespoon of it to make it soft and add to it 8 drops of tea tree oil. Mix them well and store the mixture in a glass jar. Then apply it on the affected area. Do this twice or thrice daily till the acne disappear. Green clay is a natural anti-inflammation agent and helps in making your skin very soft. Mix a few drops of tea tree oil with one tablespoon of green clay and a teaspoon of honey. Apply this on your face after battering the mixture well. Keep it on for 20 minutes before washing it off with water. Garlic, thanks to the numerous health benefits, has been used for centuries in treating a number of problems. The high amount of anti-oxidants makes garlic very good at fighting free radicals in the skin which otherwise combine with harmful compounds to cause infections. The compound allicin makes it especially effective against the acne-causing bacteria. The sulfur present in it helps dry the acne and the accompanying inflammation. Garlic helps improve blood circulation which in turn helps in getting rid of accumulated toxins, and thus prevents acne. Some other nutrients and vitamins in cloves also help in curing the acne scars. Garlic is a good remedy for acne caused by fungal infections and helps increase insulin production, thus taking care of acne produced due to low insulin levels. To use this highly beneficial ingredient with tea tree oil, add a teaspoon of honey and half a teaspoon of garlic paste in a bowl, along with a few drops of tea tree oil. Mix these very well to form a thick paste. Apply this on the affected area and keep it on for 10-15 minutes. Rinse your face with cold water. Egg whites are great at drawing out the extra oil from pores and to remove acne scabs. They also help in shrinking enlarged pores. To use egg whites with tea tree oil, you can prepare a face mask. Whisk 2 egg whites till stiff peaks are formed. Add juice from half a lemon to it, along with 2-3 drops of tea tree oil. Mix these well before applying it on your face. Leave it on till dry before washing it off with cool water. To treat acne on your face, back and chest, apply this mask twice or thrice weekly. Tomato comes with high levels of the vitamins A and C, which are essential for a good skin health. Jojoba oil has powerful antioxidant agents with antibacterial and anti-inflammatory properties. To a tablespoon of tomato puree, add a few drops of tea tree oil and jojoba oil. Mix these very well before applying it on the affected area. Keep the mixture on for 20-30 minutes before rinsing the areas with clean water. Pure aloe vera gel is a famous natural remedy due to its natural anti-inflammatory properties. Aloe vera tightens the skin by boosting collagen, thus healing wounds and helping get rid of scars. To use aloe vera with tea tree oil for treating acne, add 8 drops of tea tree oil to 1 tablespoon of aloe vera gel and leave the mixture on for half an hour. Rinse your face with warm water. Remember to put on a good sunscreen before going out. Lemon has antibacterial properties due to its high acidic content and is a natural antioxidant. Also, the high amount of Vitamin C works wonders for the skin by clearing it and improving its texture. Mix equal parts of tea tree oil and lemon juice (from one lemon) in a bowl. You can also use lemon oil instead. Keep the mixture on the affected area for 20 minutes before washing it off with warm water. Apply sunscreen after that in case you are going out in sunlight, to prevent burns. Sodium bicarbonate found in baking soda makes it one of the best natural antibacterial agents. It is used to treat a large number of problems, from acne to infected wounds. Its grainy texture helps in gentle exfoliation of dead skin cells that block the skin pores. It also unblocks sebaceous glands by soaking up the extra oil and killing the bacteria infecting the accumulated sebum in the pores. Prepare a paste by adding 1 tablespoon of baking soda to the required amount of water. Add 2-3 drops of tea tree oil to it and mix everything well. Apply it on the acne and leave it on for around 15 minutes before washing it off with warm water. Oatmeal helps in removing dead skin cells and opening up blocked pores. The large number of chemical compounds in colloidal oatmeal (commonly the ground oatmeal) makes it a great anti-inflammatory agent. Banana is also great at dealing with free radicals. It helps lock in moisture, at the same time helping in cooling the skin and thus dealing with inflammation. To use these two together to make a natural scrub, mash a slice of banana with a fork in a bowl. Add a tablespoon of finely ground oatmeal powder and a few drops of tea tree oil. Then mix these very well before scrubbing your face with it for 2 minutes. Keep it on for 15 minutes before rinsing your face with clean water. Raw unprocessed apple cider vinegar (ACV) is a natural anti-bacterial agent and helps in disinfecting pustules, pimples and acne cysts, thanks to its low pH and high acetic acid levels. ACV has also been found effective while treating wounds and in dealing with other infectious pathogens. Add a few drops of tea tree oil (6-8 drops for each 1 oz. of liquid) to equal parts of water and raw ACV. Mix these well and apply on your face and other affected areas with the help of a clean cotton ball. Do this twice daily- once in the morning, and then in the evening, till you are completely cured of acne. Witch hazel is a natural astringent and dries off the excess sebum in the pores. The tannins present in it have anti-inflammatory effects, especially useful for treating acne. Witch hazel is a natural antiseptic, working even against viruses. To use this highly beneficial ingredient, add 3 drops each of tea tree oil and lavender oil to 1 oz. of witch hazel. Mix them well. Now apply it on the affected area with the help of a clean cotton ball and allow your skin to soak it in. Do this 2-3 times a day until the symptoms subside. Using tea tree oil in its concentrated form is usually not a good idea as it can cause irritation and aggravate the problem. Pregnant women and lactating mothers should refrain from using it. Ingesting tea tree oil can cause severe stomach upset. So next time you are sprouting acne, do not despair. Treated correctly, there would be no trace of it left after two weeks. However, in the case of heavy, persistent infection, expert medical advice is always recommended as acne can often be indicative of bigger health problems.